Store Hours: Monday-Saturday: 7:00 a.m. – 9:00 p.m. Sunday: 8:00 a.m. – 9:00 p.m. 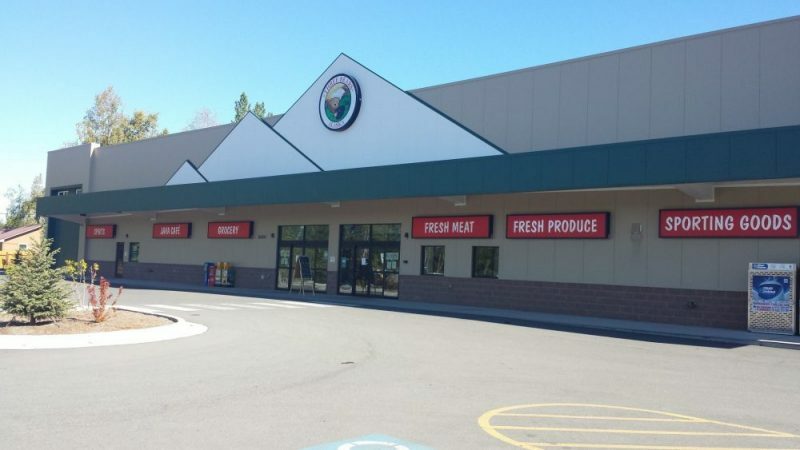 The Chugiak store opened in July 2014. It is one of our largest warehouse format stores and features both bulk packs as well as convenient sized grocery items. 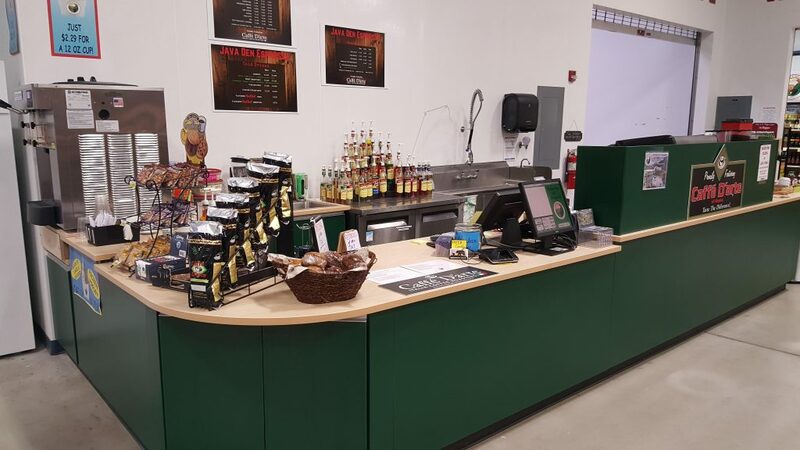 You will also find fresh meat, produce, deli items, a liquor store, hardware, office supplies, small appliances, health and beauty aids, and over the counter medications. There’s a Three Bears Outpost inside featuring guns, ammo, hunting, fishing, apparel, and camping products. A great place to grab some food, check out the Bear’s Den Pizzeria located in the Chugiak store. The pizzeria offers 2 types of pizza: Chicago deep dish and hand tossed New York style pizzas. We also offer a great selection of gourmet chicken wings and some great appetizers like cheesy fries and fried mushrooms. Pizza by the slice is offered from 11 am to 2 pm for that quick lunchtime meal. Grab a specialty coffee as you shop, we are always coming up with new drinks. We also have smoothies, specialty cold drinks, special hot chocolates, and treats. Ask about our punch card while your there. Monday-Saturday: 6:30 a.m. – 9:00 p.m.
Sunday: 7:30 a.m. – 9:00 p.m.
Monday-Saturday: 7:00 a.m. – 9:00 p.m.
Sunday: 8:00 a.m. – 9:00 p.m.